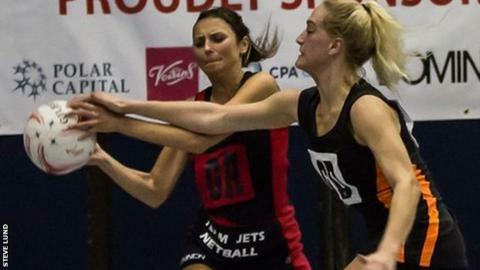 Jersey's Team Jets lost for the fifth time in six games as they went down 46-35 to Buckinghamshire-based side Clan in netball's Premier League Two. Jets' opponents move into mid-table, with the Jersey-based club now third-from-bottom in the division. Jets are one point above bottom side Thoroughbreds and Grangetown, who they beat last month. Premier League Two is the highest level Team Jets have played at after being promoted via last season's play-offs.